HEC Montréal is boosting its international presence by developing partnerships with three major Peruvian schools: the CENTRUM Graduate Business School, the Universidad del Pacifico and the Universidad Privada del Norte. First of all, on July 12 the School signed an agreement with the CENTRUM Graduate Business School, considered one of the leading business schools in Latin America. Starting in late spring 2017, HEC Montréal and CENTRUM will be offering a joint executive program in Peru, combining the Peruvian school’s Managerial MBA and HEC Montréal’s Specialized Graduate Diploma in Management in a hybrid form (part in the classroom and part online). The program will include courses and company tours in Lima and Montréal. Note that, just like HEC Montréal, CENTRUM is one of the 63 business schools around the world to hold the three prestigious AMBA, AACSB International and EQUIS accreditations. 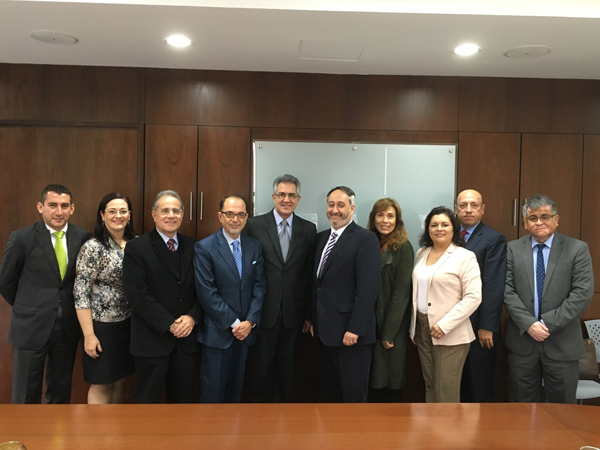 The Universidad del Pacifico already partners with HEC Montréal for its exchange programs, and holds AMBA and AACSB International accreditations. The two schools are currently exploring the possibility of offering a BBA 3 + 2 (3 years in Peru and 2 in Montréal) as well as an executive program in energy, as a way of boosting their institutional collaboration. HEC Montréal Director Michel Patry and Hassan Taghvaï, Director of International Activities and Student Mobility, met with David Mayorga (PhD 2004), Academic Vice President of the Peruvian school, on July 14 to discuss this subject. The previous day, Mr. Patry and Mr. Taghvaï also took advantage of their time in Lima to meet with the team from the Universidad Privada del Norte, a private university with its main campus in Trujillo. The school would like to forge a partnership with HEC Montréal to include train-the-trainer courses, research and other aspects. Hassan Taghvaï, Director of International Activities and Student Mobility, Gwyneth Kutz, Canadian Ambassador to Peru and Bolivia, Beatrice Avolio Alecchi, Deputy Director General of the CENTRUM Graduate Business School, and HEC Montréal Director Michel Patry. Photo: Adriana Crespo. 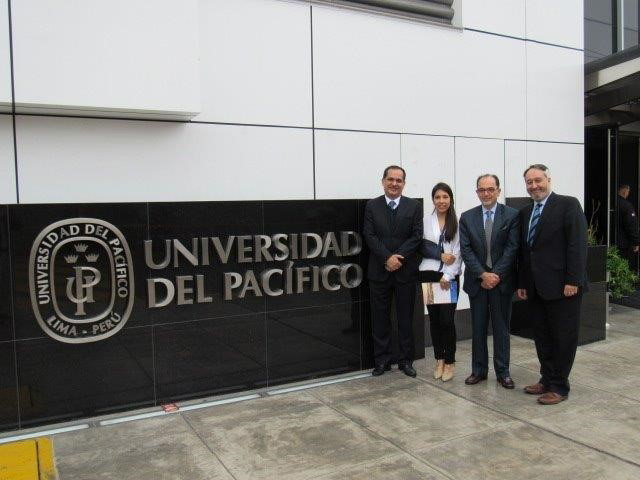 David Mayorga, Academic Vice President of the Universidad del Pacifico, Estefania Amado, International Student Co-ordinator with the Office of International Relations of the Universidad del Pacifico, Hassan Taghvaï and Michel Patry. Photo: Univ. del Pacifico.